We just finished this one and we can’t stop oohing and ahhing over here! It is for one our clients, Paula, who LOVES colour and appreciates truly unique framing. We have framed a wall-full (at least) of artworks for her and at each design, if I don’t come up with something wild and wonderful… she does! This piece is what I’d call “Classic Paula” . It epitomizes the wonderful effect that bright colours can accomplish on the right artwork. 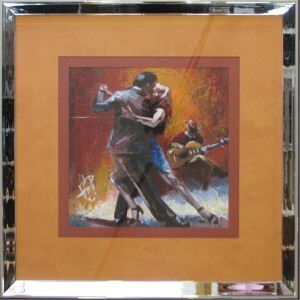 The combination of orange and red matting is bold but works well on this piece as it is an echo of the background colours. 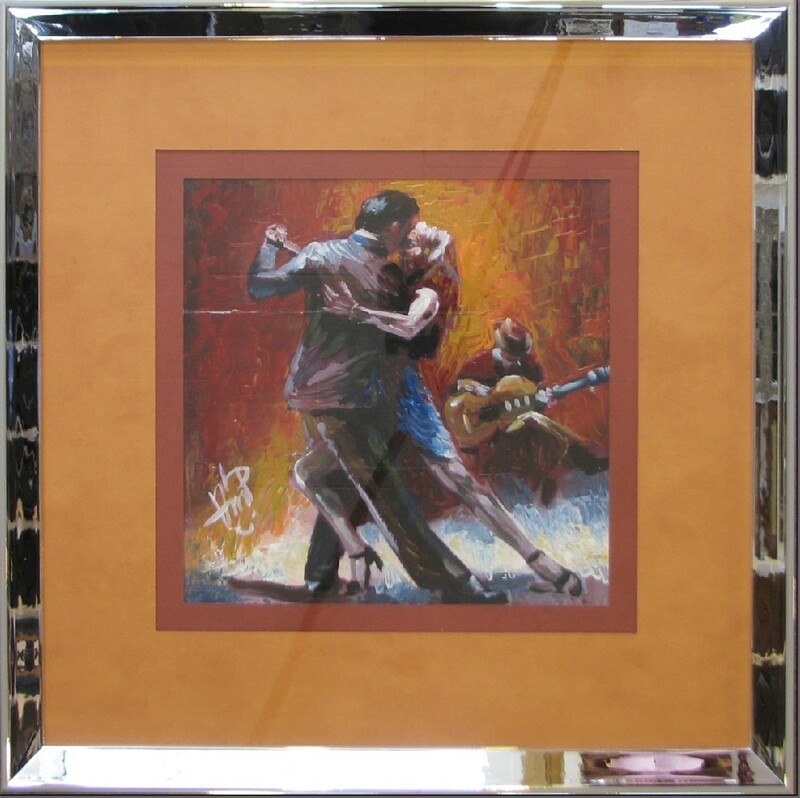 It actually allows the tango dancers to emerge as the focal point of the piece. Not that the frame doesn’t also draw your eye…. Paula’s frame is Harlow’s Tall Slant Mirror profile, and yes, you can see yourself in it! Can you see your next artwork … or custom made mirror…. in it too?